As Christians, we represent God & Son, Inc., and we are competing in the marketplace of ideologies for the hearts of men and women. Our CEO and Head Sales Trainer, Jesus, has shown us the brand/trademark/logo that His Father, the Founder and Owner of the company, showed him. And that logo is LOVE. One preacher defined godly love as, “a decision to compassionately and righteously seek the wellbeing of another person.” True love is not a feeling; it is a decision, and one that can be made only by someone filled with holy spirit, the divine nature of God and Christ, the ultimate lovers. In Scripture, the word “glory” means, “the appearance of a person or thing that attracts attention or commands recognition.” It is not the object itself that attracts attention, but the appearance of the object. For example, you fill a bowl with ten apples, only one of which you polish to a lustrous shine. Someone else sees the bowl and exclaims, “Look at that apple!” He is not saying that because of the uniqueness of the apple itself, for apples are commonplace; he is instead referring to the glorious appearance of the apple compared to the others. God is invisible, and thus He has a majorimage problem. So He sent His Son to be “the image of the invisible God (Col. 1:15). In essence, JESUS was God’s primary Advertising Campaign. He still is, but now that is by way of you and me, His Body. In Scripture, Jesus is referred to as “the glory” of God (2 Cor. 4:4, 6; Titus 2:13; Heb. 1:3) because it is he who vividly displayed (advertised) the heart of God to man. And people noticed his uniqueness: “No one ever spoke the way this man does…” (John 7:46). We’ve never seen a guy like this! They didn’t say that because Jesus had four arms or six ears; rather, it was because of how he “shined” compared to other men. What set Jesus apart was his relentless love for people, and it was that love that glorified His Father. Romans 8:30 says that God has “glorified” us, that is, He has given us the ability to stand out amidst the crowd of humanity and manifest His love to people. As He says in Ephesians 1:6,12,14, we are to be “unto the praise of His glory.” That is, we are to show people the true heart of our Father so that they can choose to love and praise Him. The key to our doing so is found in this classic verse: “But we all, with unveiled face, beholding as in a mirror the glory of the Lord [Jesus], are being transformed into the same image from glory to glory, just as from the Lord, the Spirit” (2 Cor. 3:18). Now it is we, the Body of Christ, who take his place on earth, and our goal is to manifest Jesus’ life to the world in such a way that people react to us as they did to Peter and John after they healed the cripple at the Temple gate: “They were astonished, and they took note that these men had been with Jesus.” How much time are you spending with your Lord? I ask that because, as the following verses help us understand, the key to loving people is intimacy with Jesus. Why did Jesus give the guy TWO commandments when he asked for only ONE? Because the only way to determine a person’s love for God is by how he treats people. Sure. It is easy for us to say we love God, but if we do, then we are to love those whom God loves. It’s like, “Any friend of God’s is a friend of mine,” and God loves everyone. These verses also point us to the great truth that the quality of our horizontal relationships with humans is directly proportional to the quality of our vertical relationship with God and the Lord Jesus. 1 John 4:20-21 expresses that same vital truth. Take a look at it. 1, 2, 3 John contain many verses showing the working relationship between LOVE and TRUTH. Why not pursue that fascinating (and brief) study? After all, it is truth that defines love. Love is not merely an emotion, and truth is not only cerebral—both are rooted in ACTION. Hey, this is The LIVING TRUTH Fellowship. Our goal is to live the truth in love. The following verses show that filling our hearts with the Truth of God’s Word is the key to loving as Jesus did. 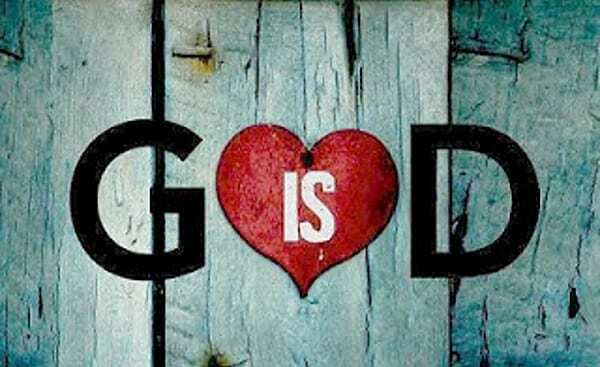 4 The one who says, “I have come to know Him,” and does not keep His commandments, is a liar, and the truth is not in him; 5 but whoever keeps His Word, in him the love of God has truly been perfected. By this we know that we are in Him. In closing, let us consider these “famous” verses about love. And, I would add, loving is hard. It doesn’t come naturally. Why? Because love means putting another person’s interests before our own, and we each have a relentless sin nature geared to SELF-everything. We should note that Jesus first loved people and met a need in their life. Then they were willing to listen to him. Yes, there are a few truth seekers out there who will grab onto the Word even if you preface your witness by punching them, but generally, as the saying goes, “People don’t care how much you know until they know how much you care.” Let us go into this love-starved world and show people that Jesus loves them. The harvest is plenteous; the Lord needs laborers. He needs human cooperation in order to bring to pass his will in the lives of people. Let us respond as Isaiah did: “Here am I; send me.” To the degree that you give your utmost for his highest, your life now will be enriched, and, at his appearing, Jesus will abundantly reward you for living for him.